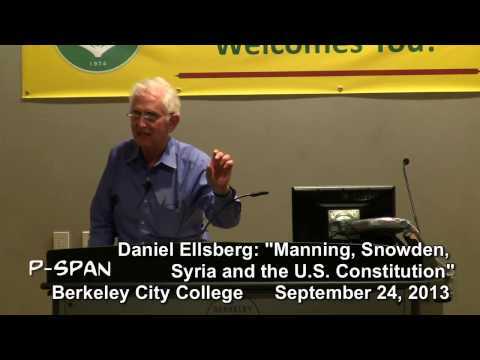 The Berkeley City College Global Studies Program presented a talk by Daniel Ellsberg: “Manning, Snowden, Syria and the U.S. Constitution,” on September 24, 2013. By publishing The Pentagon Papers in 1971, Ellsberg revealed the lies the U.S. government had told to justify the war against Vietnam. 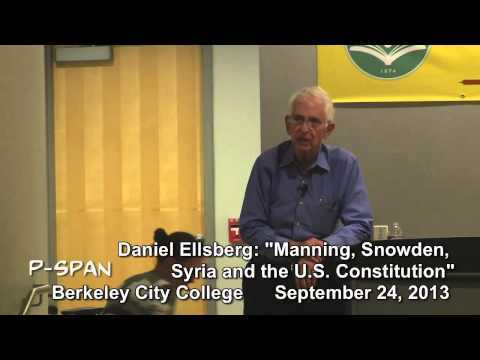 Ellsberg’s revelations played an important part in helping to end that war.